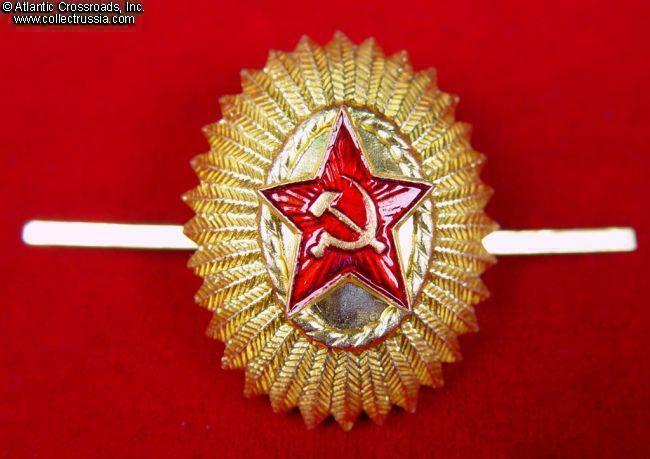 M 1964 Army or Air Force general hat badge, mid 1960s through 1991. Aluminum, paint, riveted 2-piece construction. Factory mark to the reverse. 35 mm tall. Excellent condition. Special type used exclusively by Soviet generals and marshals, this cockade is noticeably different from that for regular officers.